The Rumi Forum organized an event highlighting the experiences of women in the three Abrahamic faith traditions. The event featured a panel discussion followed by a question and answer session where audience members had the opportunity to direct questions towards any of the three-panel members, each one representing a different religion. Reverend Meg Peery McLaughlin, a pastor at Burke Presbyterian Church, spoke first about the inherent equality between men and women illustrated in the book of Genesis with God’s creation of a single creature who is then separated into a man and a woman. However, cultural and societal norms often overshadow this inherent equality found in the Bible. Reverend McLaughlin gave insight into the ways that Christian women have often struggled silently or behind the scenes in order to do God’s work. Her remarks touched upon her own family history, as the child of generations of Presbyterian ministers, as well as the story of Jo Ann Robinson, a civil rights activist who was a key organizer in the bus boycott in Montgomery, Alabama. Reverend McLaughlin spoke about how Robinson among many other women played important roles in orchestrating God’s work, despite never receiving recognition, and how it is often in silence where we can hear and feel God strongly. Riham Osman, Communications Coordinator at the Muslim Public Affairs Council built upon the idea of silence, speaking upon the absence of positive stories about Muslims; Muslim women in particular, in the news or on social media. She emphasized the difficulty in working to bring these positive stories to connect with a wider audience. Osman then spoke about two Muslim women in history named Khadija and Aisha, who provide powerful examples of female leadership in the religion of Islam. Both women were wives of the Prophet Muhammed and challenged traditional gender roles of the time. In Khadija’s case, she engaged in trade and business (a male-dominated profession) which then allowed her to provide for her husband. Aisha, on the other hand, challenged gender norms of her time by becoming a scholar of Islamic jurisprudence, which gave her the ability to interpret the law and the Quran from the very beginning. The final speaker was Rabbi Laura Rappaport, Assistant Rabbi, and Educator at Temple B’nai Shalom, who discussed the damaging effect of preconceived notions of gender and the different expectations that society sets for individuals as a result. Rappaport noted that Jewish women in every field have made important contributions to history, not just in the roles typically reserved for women. She mentioned the biblical hero Esther, who strove to save her people despite the limited resources available to her demonstrating that there are many ways to achieve greatness and forward God’s work. 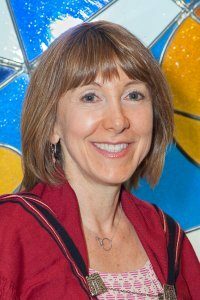 A lesson that Rabbi Rappaport drew from this story and from other examples of women of faith acting in ways that challenged expectations is the need to look beyond the stereotypes that we hold of others and to use these examples to broaden narrow definitions of value and appropriate behavior. The discussion concluded with a question and answer session where all three panelists talked about the process of change within religion and the difficulties in adapting ancient faiths to contemporary issues. 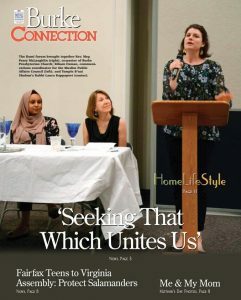 Questions touched upon the issues surrounding women’s leadership in prayer and religious ritual, spiritual guidance in the wake of recent political events, and the struggles of younger generations to find meaning and comfort in traditional houses of worship. Through this discussion, the panelists were able to highlight the diverse contributions of women in religion and bring nuance to the term “woman of faith” while stressing the need for unity among faith communities in order to help bridge societal divides. Rabbi Laura Rappaport is Assistant Rabbi and Educator at Temple B’nai Shalom. 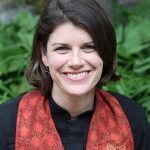 She brings a wealth of experience as a pulpit rabbi, a Director of Congregational Learning, a board-certified hospital chaplain, a director of non-profits, an adjunct college faculty member, an educator for all ages in many settings and the mother of two. Rabbi Rappaport grew up in rural Northwest New Jersey and received her B.A. in Psychology from the University of Pennsylvania. She received her M.A.H.L. and Rabbinic Ordination from Hebrew Union College-Jewish Institute of Religion (Jerusalem and Cincinnati campuses). She has also completed Masters’ level courses in Bio-ethics from Rush University and the University of Washington and Doctoral level courses in Jewish Studies from Spertus College in Chicago. The Reverend Meg Peery McLaughlin serves as Co-Pastor at Burke Presbyterian Church, alongside her husband, Jarrett. She is a native of North Carolina, graduated with a Bachelor’s in English Literature from the University of North Carolina at Chapel Hill and with a Master’s in Divinity and in Christian Education from Union Presbyterian Seminary in Richmond, VA. Meg was ordained as a Teaching Elder (Minister of Word and Sacrament) in 2006, at Village Presbyterian Church near Kansas City, MO, where she served for seven years in the role of Pastoral Care. Riham Osman joined the Muslim Public Affairs Council (MPAC) in September 2013 as the Program Assistant in the Washington, DC office, where she provided leadership in several office initiatives. Riham currently serves as the Communications Coordinator in Washington, DC where she specializes in digital media, manages the organization’s online presence and works to ensure the media accurately portrays American Muslims. 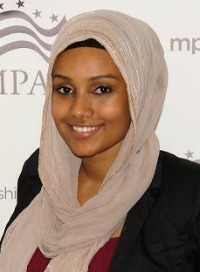 Prior to joining MPAC, Riham was an MPAC Young Leader and participated in MPAC’s 2013 Government Summit, which sparked an interest in her to pursue a career at the crossroads of policy and media. Riham is a 2013 University of Mary Washington alumna and received her undergraduate education in International Affairs and Middle Eastern Studies. Riham has appeared on multiple media outlets, including NPR, ABC7, NBC, and CCTV. She has also commented on issues such as countering violent extremism and Islamophobia in the Washington Post, Bloomberg, the Huffington Post, and the International Business Times.